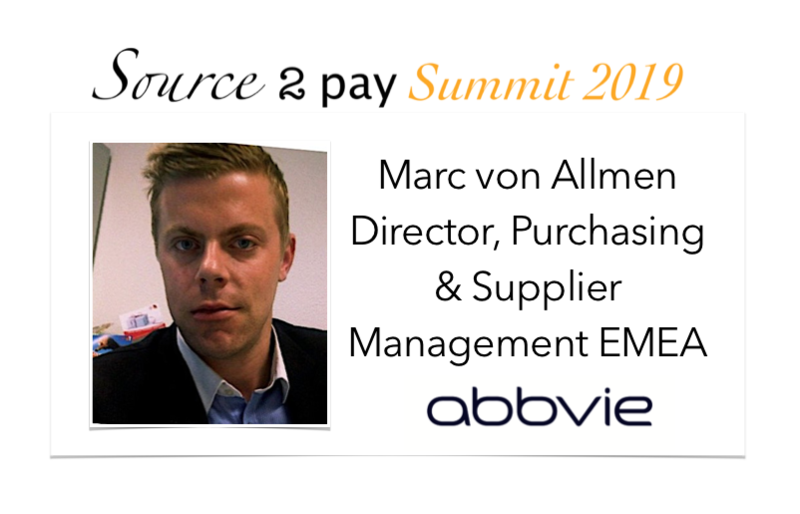 A warm welcome to AbbVie and Marc von Allmen who will be joining Source 2 Pay Summit 2019 hosting round table discussions! Marc von Allmen- Kariuki is Director, Purchasing and Supplier Management EMEA. 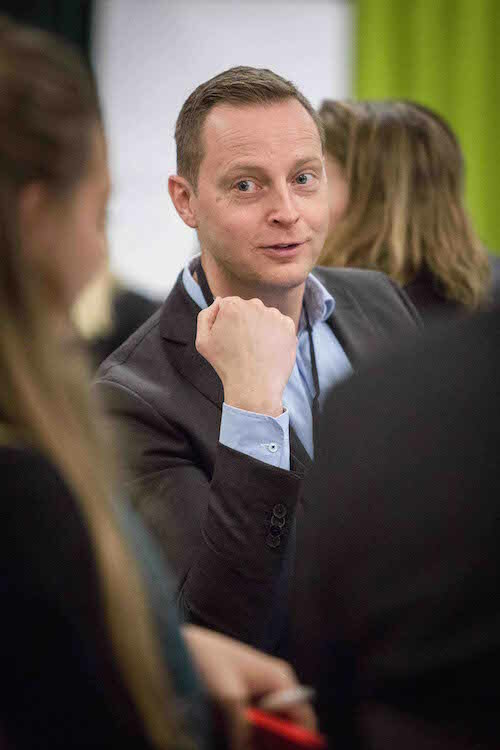 Marc is leading AbbVie’s EMEA’s procurement organization including Category- and Purchasing Management, supporting 50+ commercial affiliates. Marc invites You to join his round table discussions. They will focus on how to create the same definition of spend management between the business, procurement and finance. “What about it” you may think? If you work in a large organization you are more likely to say yes thank you to an informal and open discussions. Discussions that just may help you overcome challenges using common definitions that speak to each individual and each target set within the multitude of functions that need to work closely together IF you are to reach set targets. Apart from hosting a great topic, Marc also bring the pharmaceutical industry to the summit. An industry driven by research and science, high margins and a strong commercial footprint. What does that mean for procurement? Register today to secure Your seat at these discussion tables. Our name represents our connection to the past and the future. When we became our own company, AbbVie formed a new kind of enterprise – a biopharmaceutical company. We blend the stability, global scale, resources and commercial capabilities of a pharmaceutical company with the focus and culture of a biotech. AbbVie has about 30 000 employees worldwide and revenue in 2017 was $28.22 billion. Even though all companies have many end to end processes it is still rare to have several functions brought together to discuss how to improve efficiency and effect – together. We hope you want to join us – this will be the 9th annual summit! AbbVie | When does spend management mean the same for the business, procurement and finance? Volvo Cars | How do you ensure maximum efficiency with quality while constantly in change? McKinsey & Company | What is the value in changing ways of working and digitising source to pay processes? Assa Abloy | Benchmark: How do you align company cultures and habits – or should you even? 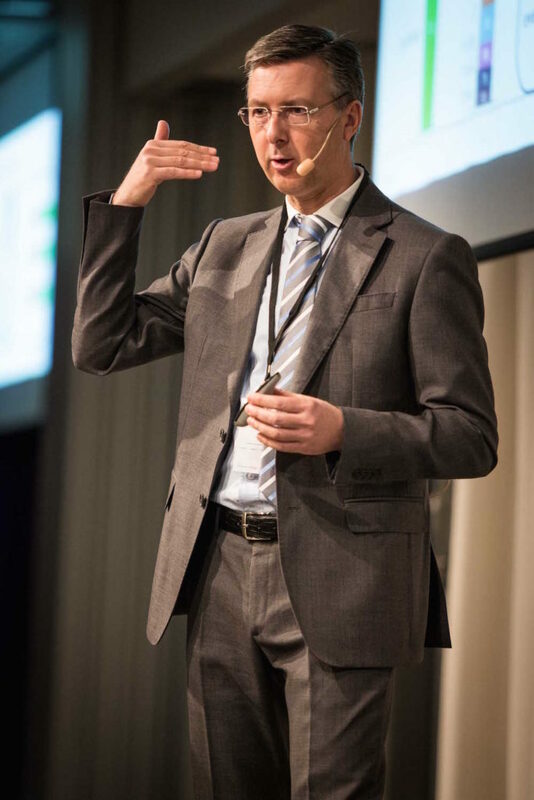 Nordea | How can you increase alignment between the business, procurement & finance? Telia Company | Benchmark: How do you balance between being productive and continuous improvement? Saab | Benchmark: How do you ensure competence change when changing ways of working? Finnair | What does it take to evaluate and select Source-to-Pay technology improvement? DeLaval | Benchmark: How do you overcome the challenges creating a new function and changed ways of working?